Sunshine Kelly | Beauty . Fashion . Lifestyle . Travel . Fitness: Why You Need to Prioritize Your House Maintenance? Why You Need to Prioritize Your House Maintenance? 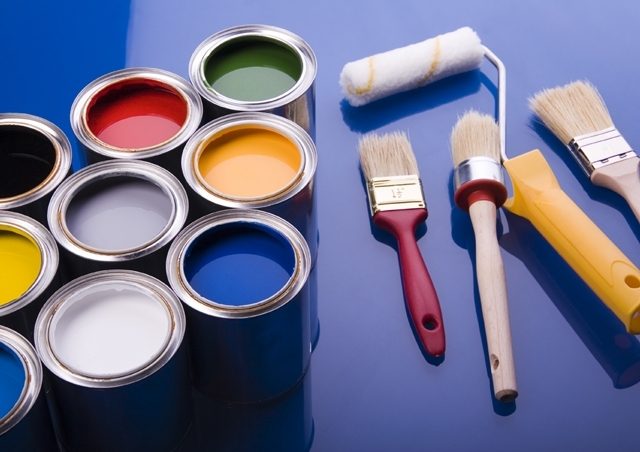 Maintaining your house is an exercise that allows you to improve its value. Home maintenance includes a series of processes ranging from fixtures and fittings to ensuring the entire home has safety and security. Some of the tasks you might consider in this process include a chimney sweep, inspecting the roof for leaks and fixing them, inspecting the smoke detector and other appliances. It is a process that reinforces all parts of the home to ensure they work well and are efficient. There are few reasons that should motivate you to prioritize house maintenance as shown below. It can prove expensive to fix something that you could have protected by performing some maintenance practices. If there are leaks in the pipes, repairs will prevent bursts that could cause many losses within the house. Even a small crack on the wall could cause huge damage that will affect different parts including the roof and windows, so investing in regular maintenance could save you money because you will prevent major problems that might destroy the house. A house that ismaintained properly is a valuable asset and could fetch a good amount when placed in the market. To protect this value, you should ensure the house is inspected regularly and any repairs that are needed done to keep it in perfect state. Prospective buyers will see the value and this will motivate them to pay for the home at the quoted price. A poorly maintained house will take longer to sell and could fetch low prices. Fixtures in the home can go wrong if you fail to inspect them to know when some parts should be replaced or cleaned. Your air conditioner could break if you take long to apply maintenance measures, so maintaining the house is a measure that will help you to protect the home against problems that could arise from negligence. If the house is maintained properly, you will not have worries that something could go wrong that will jeopardize your health and safety. You are sure every socket, every appliance, or even the walls are reinforced perfectly. You will have less to worry about when your home is maintained properly. Trying to restore things that get damaged from poor maintenance could take time and resources. You may be forced to get some time off work to oversee the repair of some essential areas of your house, which is frustrating and could cost you income and money. It is cheaper to keep your home in perfect condition. You should work with underpinning Melbourne experts to improve the fixtures around your home and to also minimize risks of damage. Having a house that is perfectly maintained is something to feel proud of. Many people lack the idea of what they could do to ensure their homes don’t depreciate in value but they don’t realize that a simple maintenance routine could allow them to have a perfect home. Inspect your house regularly and make sure to take measures to improve areas that seem weak.